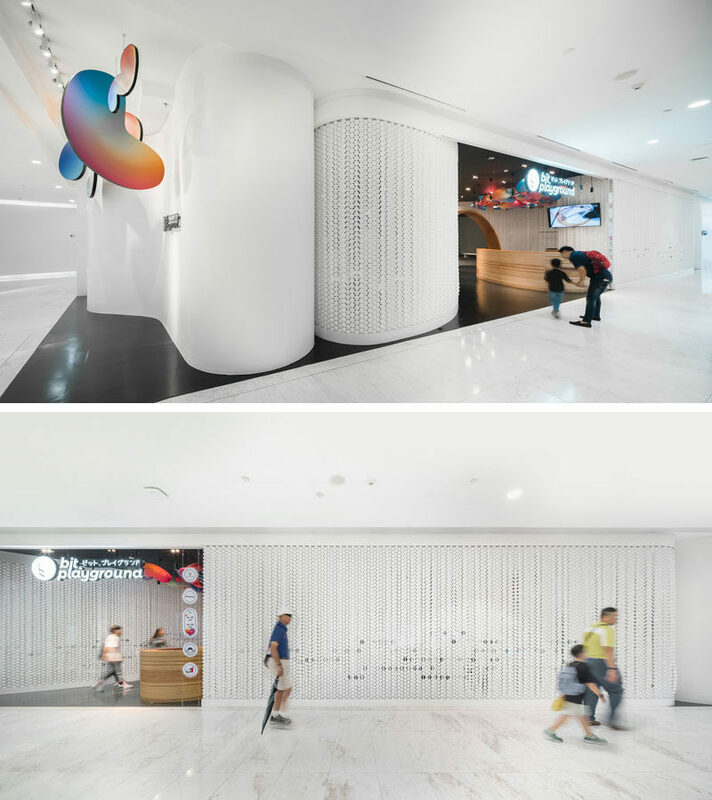 Thailand based design office IF (Integrated Field), have recently completed ‘bit.playground’, a destination for children to learn about technology through playing. Located in Bangkok, bit.playground is the the first fully interactive Thai playground. 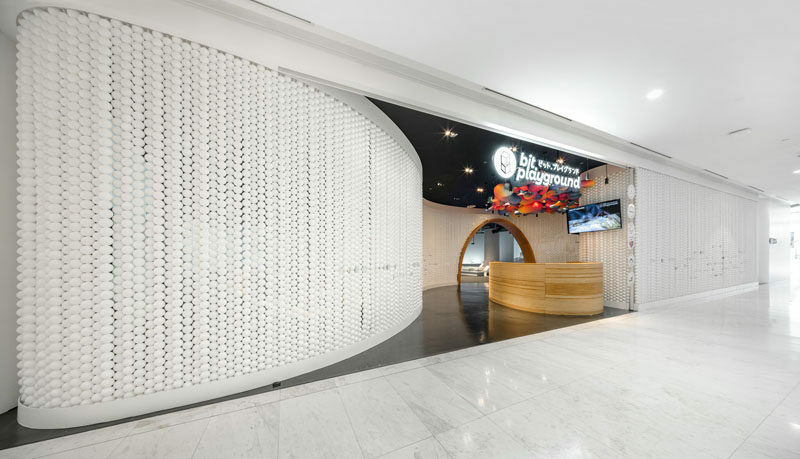 Welcoming children to the playground is a white facade that contrasts the black floor and wood reception desk. A colorful ceiling inspiration draws the eye upwards to the logo. A wooden arch complements the wood reception desk, and provides an entryway to the interior space. 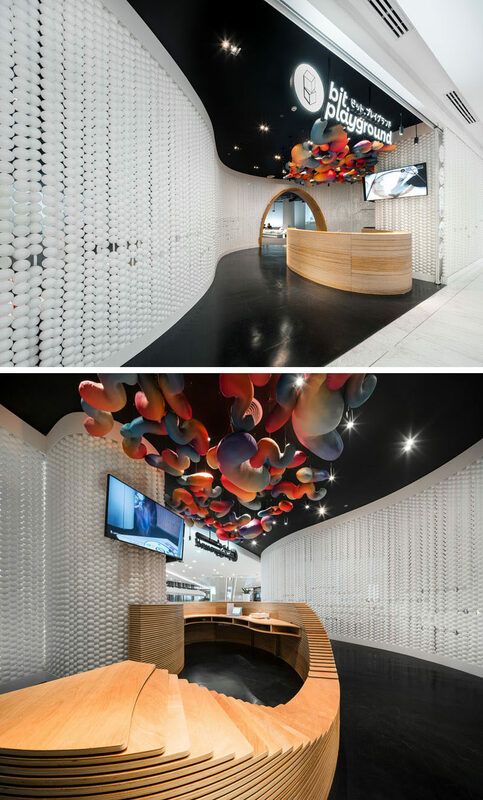 White balls and discs have been used to create curved walls, adding interest and texture to the interior. The playground has a variety of different stations to inspire awareness that technologies are more than just screens, while a large raised ball pit, that uses the same balls as the walls, gives children a place to play.